April 8, 2019 April 15, 2019 - The 'Noms. 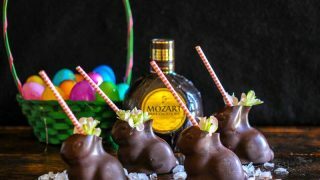 Perfectly fun chocolate Easter cocktails, with Mozart Dark Chocolate Liqueur! When you think of Easter baskets, there isn’t anything more iconic than those famous chocolate bunnies! 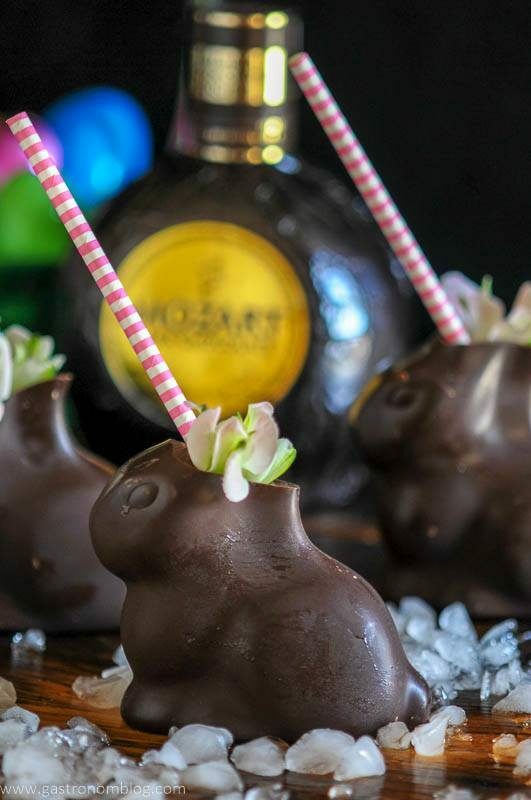 And what better way to make an adult Easter basket than to make a chocolate cocktail as a sweet treat? 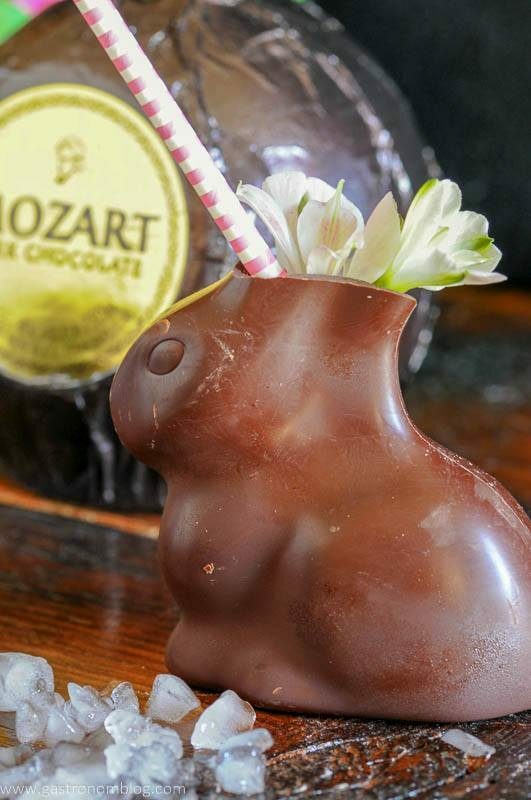 We came up with the Funny Bunny, a great Easter cocktail served in a hollow chocolate bunny (edible tiki mug, right!?) which is a perfect cocktail for Easter brunch or a spring sipper! This post contains sponsored content brought to you by Mozart Spirits. We received compensation to create this post. But, all opinions and views presented here are 100% our own. This post contains affiliate links for products that we think you as readers might find useful, and we make commission off of these! For more details about our affiliates, click our Disclosure and Contacts Page. One of the fondest memories we have as children was waking up on Easter morning and doing an egg hunt and to see what the Easter Bunny left us in our Easter baskets. 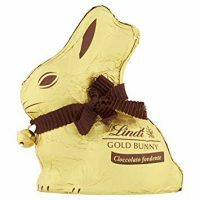 As a child, the treasures that were found in those baskets were always exciting, but none were as treasured as that big chocolate bunny. 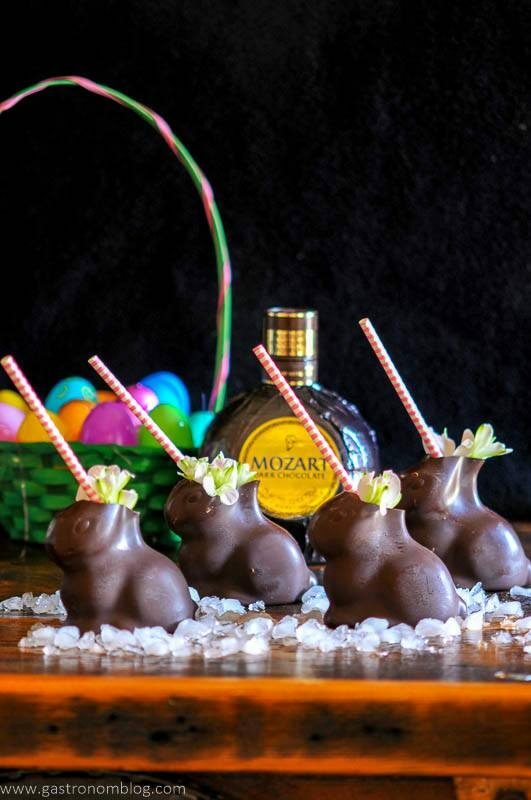 That chocolate bunny served as inspiration for us when we were thinking about making some cocktails for an Easter brunch that we are going to attend! We wanted to make a dessert cocktail for Easter brunch as a sweet treat for all the adults. 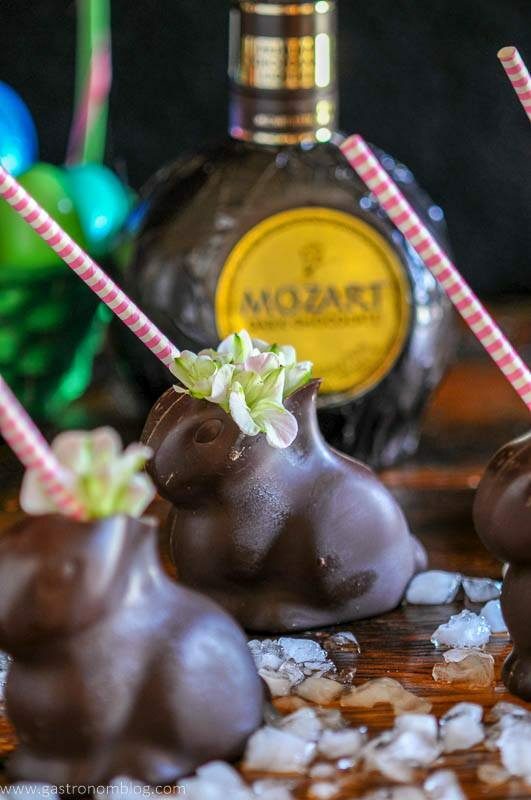 This was a perfect opportunity to use Mozart Spirit’s Dark Chocolate Liqueur, a premium chocolate liqueur made in Austria. Mozart Spirits draws on Salzburg’s rich history artisanal chocolatiers and their 150 years of distilling experience to create a sophisticated bittersweet chocolate liqueur that fans of chocolate will not want to miss! We love fun desserts, too, so check out our carrot cheesecake that will go great with this bunny cocktail! We of course had to do a little sampling of the Mozart Dark Chocolate Liqueur while coming up with this cocktail! 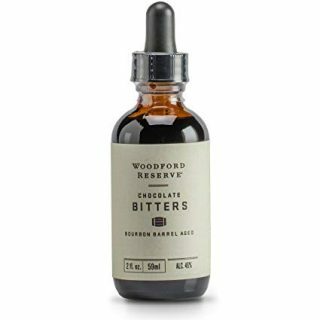 The Mozart Dark Chocolate Liqueur was a lot different then other chocolate liqueurs we have had, not super sweet and cloying, but rather a deeper and darker flavor with hints of vanilla and bittersweet cocoa. 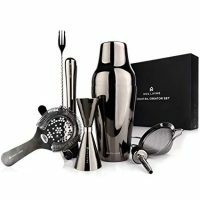 The liqueur is perfect for sipping by itself (a common treat for visitors to Salzburg, Austria is to enjoy sipping on chocolate cream liqueurs) but where it really starts to shine is when you mix it with other spirits to make rich flavored cocktails! Inspired by all those chocolate treats found in Easter baskets, we wanted to make sure all the adults had a chance to relive their childhood and get their very own chocolate bunny! 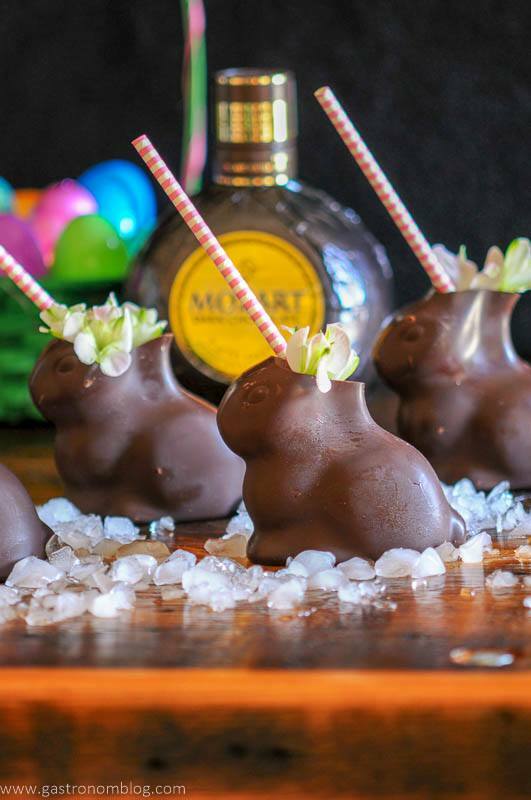 Why not serve a dessert cocktail inside one of those hollow chocolate bunnies? We both felt like these little chocolate bunnies were like an edible tiki mug and dessert all in one! 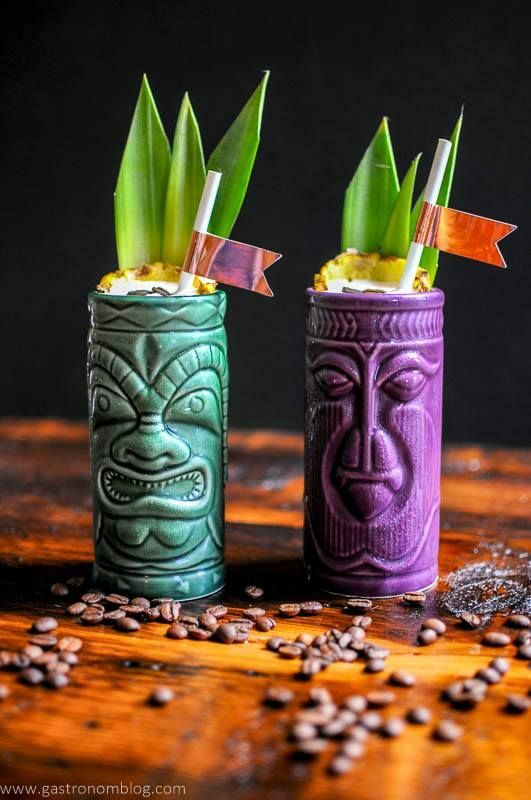 Since we had our very own Easter tiki mugs, we decided to make up a dessert tiki cocktail. We started out with the Mozart Dark Chocolate Liqueur and combined that with a nice peaty Islay scotch to add in a bit of salt and smoke. Tiki means tropical, so we needed to add in something to bring a little tropical flavor and what better than a little banana liqueur? Chocolate and banana is a killer combo, and when added into the the mix of scotch and Dark Chocolate Liqueur, it added a hint of tropical sweetness and flavor! Next, we added in some fresh squeezed grapefruit juice to add in some much needed sour. It also added a bit more tropical flavor to bring the cocktail into balance. 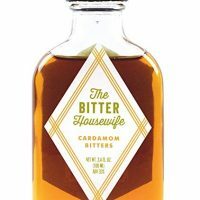 A couple of dashes of some bitters (we used Aztec Chocolate Bitters and Cardamom) to expand the flavors of the cocktail by adding rich warming spices. This one is a lot of fun to make and we thought they would make a great addition at each place setting for Easter Brunch! To make the chocolate bunny tiki mugs, you have to get access to that hollow space in the chocolate bunnies! 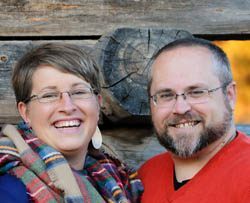 We started out with the most popular place to start eating a chocolate bunny, the ears. So, we trimmed off the ears to make a cup! Just before serving them, we filled the bunnies with crushed ice and then used a funnel to carefully fill each chocolate bunny with the cocktail! We finished the cocktail by adding a garnish of fresh spring flowers and a straw to sip out of makes it super fun and colorful! 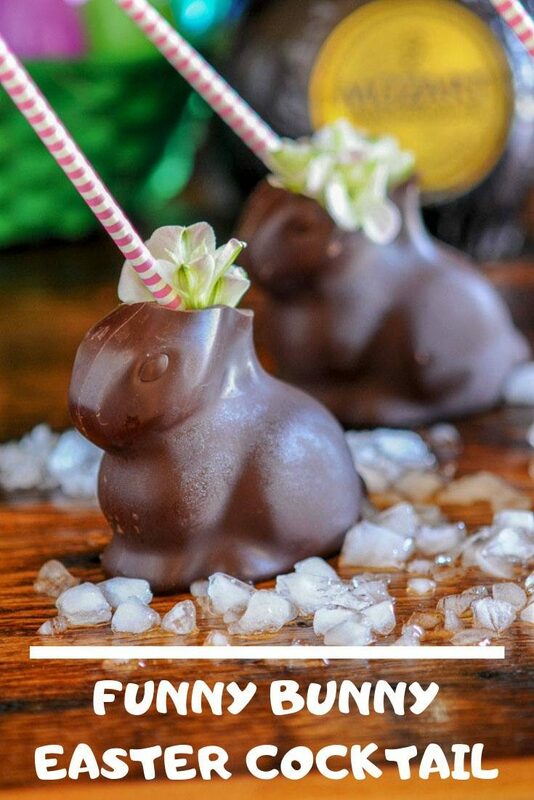 The Funny Bunny Chocolate Easter Cocktail is a great and tasty combination. 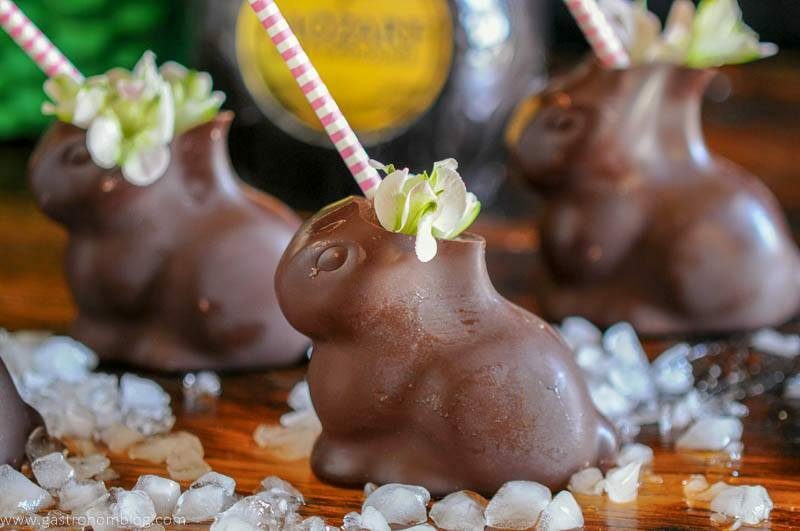 The cocktail complimented the sweetness of the dark chocolate bunnies while also being the perfect adult addition to your next Easter Brunch! Funny Bunny Easter Cocktails with Mozart Dark Chocolate Liqueur, Islay Scotch, Banana Liqueur and grapefruit juice. 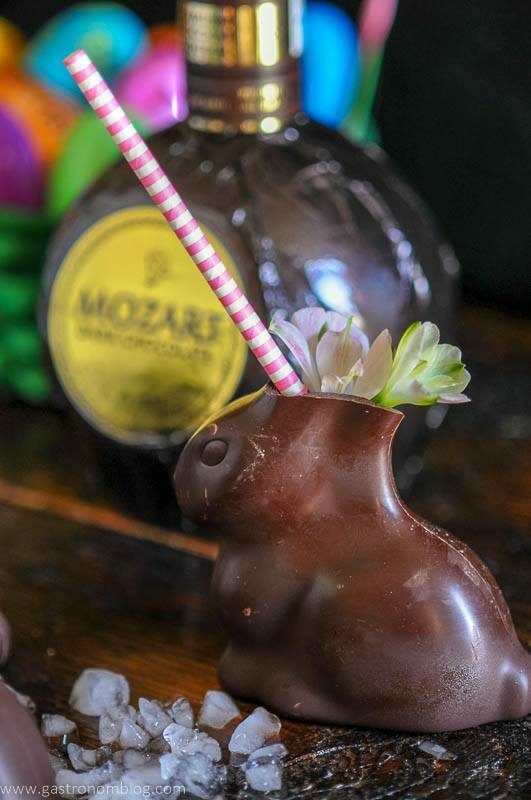 A tiki style cocktail in an edible chocolate bunny glass. Cut off bunnies ears, fill with crushed ice. Shake to combine, pour into hollow chocolate bunnies. 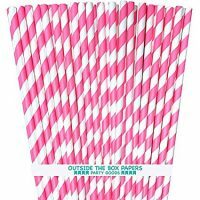 Put in straws, and garnish. Make sure the bunny is hollow or this recipe won't work. And, as always, this can be made in normal glass, as well! 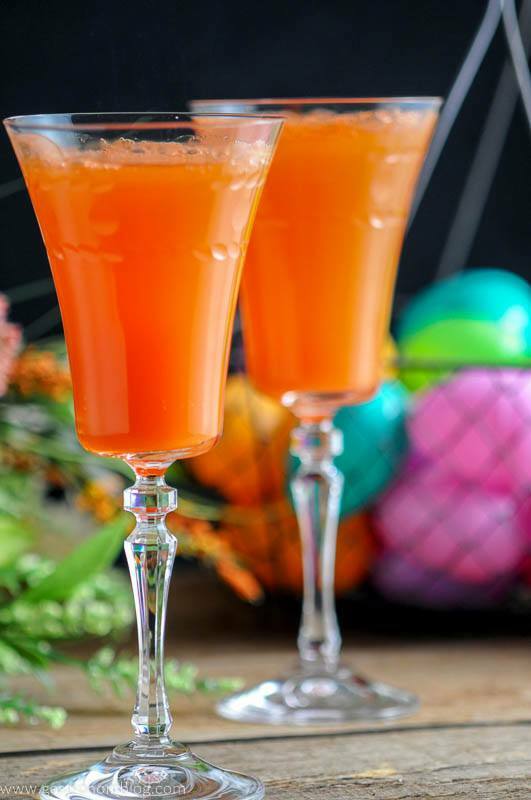 PIN THIS FUNNY BUNNY EASTER COCKTAIL RECIPE FOR LATER!